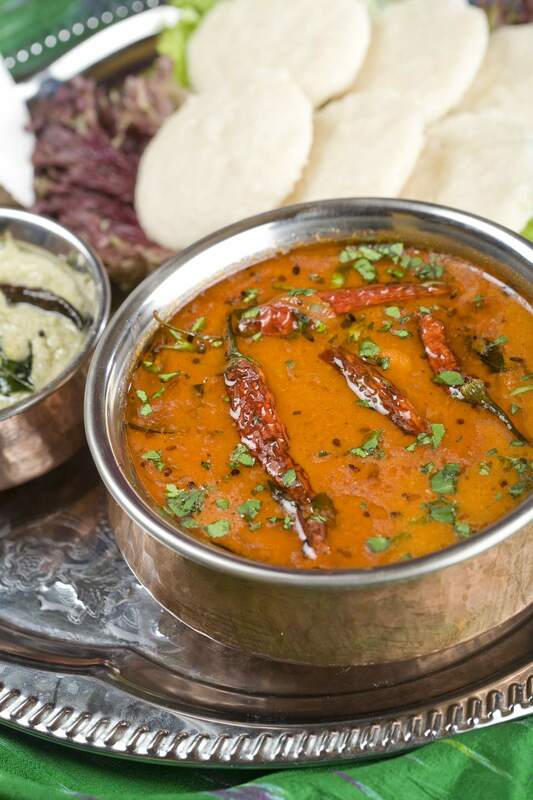 Sambar (sometimes spelled sambhar) is a popular vegetarian Indian food dish, that is also vegan as well. It's made with red lentils, mustard seeds, onion, and fiery green chilies. Combine the lentils and water in a pot and bring to a boil. Reduce the heat to medium, cover, and simmer until soft, 30 minutes. Set aside, do not drain. Heat the oil in a skillet over medium heat. Add the mustard seeds. When they begin to pop, add the onion, garlic, chiles, and ginger and cook until softened - about 5 minutes. Stir in the tomatoes, then add the sambar powder, coriander, cayenne, cumin, and salt. Add the carrots, cauliflower, green beans, and eggplant. Cover and cook for 5 minutes to soften. Add the vegetable mixture to the reserved lentils, cover, and simmer until the vegetables are soft - about 20 minutes. If the mixture becomes too thick, add more water. Stir in the lemon juice and cilantro and cook 5 minutes longer. Taste and adjust the seasonings. If you don't have a local Indian grocery source for sambar powder, here's how to make your own sambar masala. Vegetarian red lentil sambar recipe reprinted with permission from "Vegan Fire & Spice: 200 Sultry and Savory Global Recipes" by chef Robin Robertson.